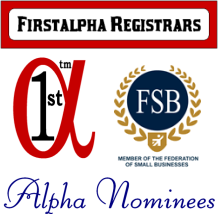 with the top of the FIRSTALPHA REGISTRARS business card. then refer to this image before removing surplus margins. pursuing a strategy for getting rich.